It's a video game phenomenon that has taken the world by storm and is one of the most prolific titles to ever grace the consoles of gamers everywhere. 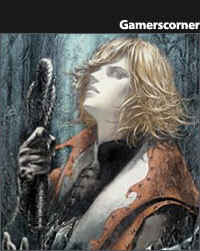 After nearly 20 years, the Final Fantasy series is one of the most played series of games that has ever been created. So this month, we take a look at the history of Final Fantasy along with two of Square Enix's latest offerings. First we'll run down the history in the Chronology of the FF games from the beginning to now. 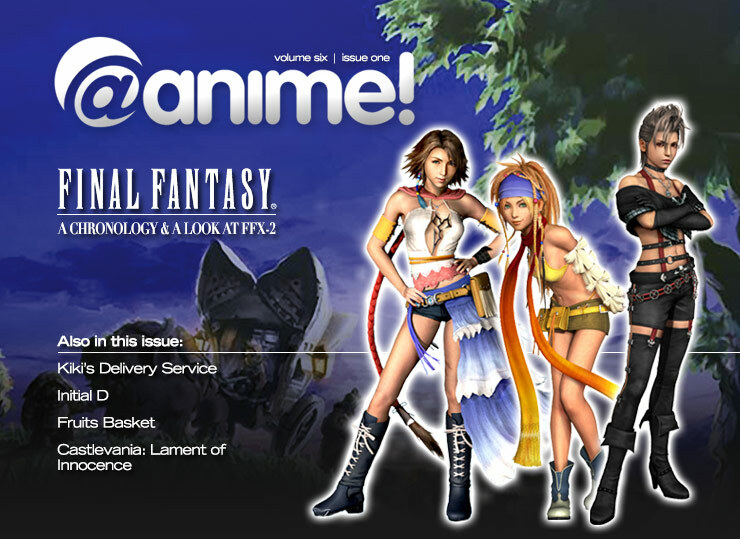 Then we'll take a look at the first Final Fantasy sequel as you join Yuna, Rikku and Payne in Final Fantasy X-2. Finally to round things out, we take a look at one of the latest spinoffs from the Final Fantasy line. One day a mysterious gateway into another world appears, bringing with it two monsters that later appear to destroy each other. In the aftermath, a pair of scientists vanished without a trace... Twelve years later, we join Ai and Yu as they search for their missing parents with the help of Lisa and the loner Kaze inside the gateway world of Wonderland. It's the latest incarnation of FF in the anime world with Final Fantasy: Unlimited. This month, Tim talks about why November was a month destined for a miracle, explains a bit about some new stuff here at the mag, and does some general babbling. Wow. Ah, cosplay. A staple in the anime world and a basic necessity at an anime convention. But is it always a good thing? This month, James looks at the art that is the cosplay and tells us all why he hates cosplayers... And the Top 5 Commandments of Cosplaying. Because he said so. First off this month, it's one of the most loved Miyazaki films ever made. Kiki is a young witch that has come of age and she must now go out into the world with her cat Jiji and help the people of her new home in Kiki's Delivery Service. Then we shift gears as we take a look at the bling-bling scene with mod and racing goodness with the hit series from Tokyopop, Initial D Vol. 1. Finally Jonathan C. tosses out some opinion about Disney, Marketing and why the South needs more Miyazaki films in The Disney/Miyazaki Myth. Tohru has been kicked out of the house and finds herself living in a tent in the forest. When the Sohma family finds her there on thier land, they invite her to stay in exchange for cooking and cleaning. While there, Tohru discovers the family's greatest secret. Super glomps and transformations abound in Tokyopop's long-awaited smash manga hit, Fruits Basket! First up, the classic game comes to the new world of 64-bit graphics! In the first Castlevania for the Playstation 2, Leon's fiancée has been kidnapped and now he must take down the castle and its inhabitants in order to save his girl from the clutches of the evil minions of the Vampire Lord in Castlevania: Lament of Innocence. Then we take a trip into Bandai country as we travel into the Final Frontier as we join the mecha of Mobile Suit Gundam: Encounters in Space. 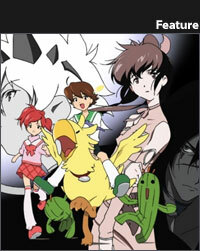 It's the latest addition to @anime! In the first offereng in Sector 7C, Ben will show us the virtures of the Chogokin Metal Material Launcher and Sword Strike Gundam Clear Color Version (do you think the name is long enough?). Then James will take you though the big things coming in Super News! Finally, join James, Ben and Mikel in the ToyKlubhaus' ToyChat for their latest convo about the world of toys.